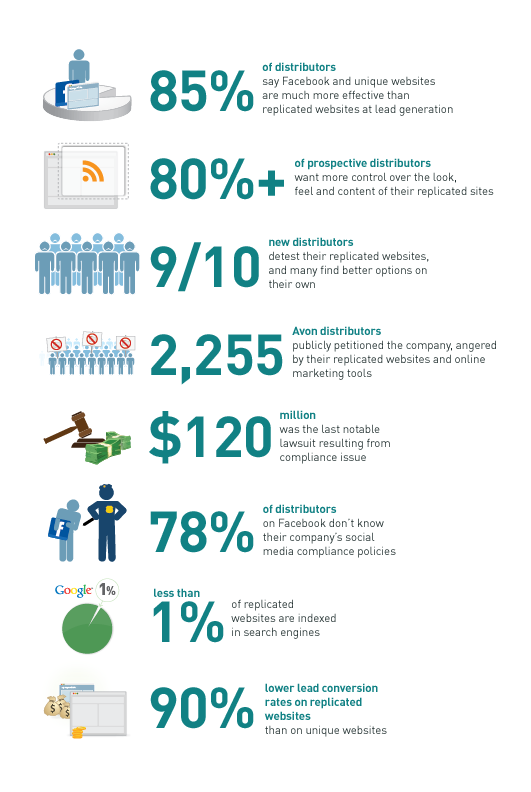 The State of Replicated Websites: INFOGRAPHIC! So, how will you remain competitive and compliant, and meet the growing needs of distributors looking to market themselves online? Download our book that will help guide you, whether you’re a startup, successful leader, or a mature MLM company: “The Evolution of Replicated Websites“.